Kudos to John Shutt and Billy De La Cruz, both professional and amiable...5 Stars! Thank you both and OCON for peace of mind. Your Representatives - Martha who books our appointments - and Dave Klein who normally does the 'services' - are both very pleasant and efficient. Ocon technicians are extremely prompt, professional and most important, thorough. We couldn't be happier with this service. Took care of ant problem. Great service. On time and very knowledgeable. John Murphy is great! Came over and addressed our issue. We've been Ocon customers for years and are very impressed with their professionalism, from monthly visits to crawl space improvement. John Murphy, our regular serviceman, is top-notch and always ready with solutions. He's helped immensely with mice problems as well as spiders, powder post beetles and other insect challenges. I would recommend Ocon to anybody. Service is great but pre-paid billing for discount is confusing beyond belief. I would like someone who is knowledgeable and actually understands it to explain it to me. always on time. very friendly employees. no more mice!! Caring people are what makes OCON so great. Martha, Bernard and John are true professionals and lovely people. We have been using them for years and they exceed expectations! OCON gives good and timely service, even coming in between monthly appointments if needed. They are pleasant to deal with and responsive. And,we think our ant problem is solved!👍. Thanks so much. We are very happy with Scott and his service. always dependable and gets the job done. My one concern is that when we went from monthly to every other month after 10 years of being a loyal customer, the fee doubled. To me, the service call is the same and we are asking for less service with 6 times a year, so why should the montly fee go up so much. Seems too high. service is ok John is always on time. The ants are gone, and I'm grateful to you! Give us peace of mind to know that our home is being taken care of from the outside elements!! Bernard is a very kind man and always does a great job with the servicing of the property. Martha in the office and Bernard in the field are great. Very personable and pleasant to work with. I wish the cost were lower but I'm happy with the service. Everyone has always been very professional & courteous. Always addressing our concerns. Long time customers -- Ocon reps are always responsive & usually timely. Thank you. Always excellent and timely service! Ocon representatives have never been late for the appointment. Operator is very easy to reach to make appointments. If possible. I would like to return to receiving my bill via the computer. We've been using OCON for 20+ years and are very pleased with the results. Office personnel and technicians are very polite and professional. Our home has been pest free since using the service. We highly recommend OCON. I recommend Ocon very highly because of their professionalism and they always ask if I have any concerns - luckily I do not have because they are very thorough on the job they have to do. Love having Bernard as our service person. He's extremely knowledgeable about his business and always helpful to provide advice and great service. We appreciate the good quality Ocon service and the positive results we have received. I hired OCON to treat a termite problem, and to recommend a regular extermination program. The consultant failed to notice a moth infestation. For the termites, they offer a guarantee, so that if termites reappear within one year, they will come back and treat at no additional cost. ~3 months after they treated, I saw a termite in my basement and called them back. They refused to treat because it was only one reproducing termite, not a wood-eating termite. I tried to make sense of that logic. I asked, "Don't reproducing termites give rise to wood-devouring termites?" "Well yes, but you only saw one." The guarantee doesn't make them responsible for termite damage that occurs after treatment, and they refused to treat on request a second time within 6 months. I pointed out we had dug some window wells, which should be retreated. They said they would have to ask their boss, and I never heard from them again, except when they want to charge me for monthly extermination of ants and mice. Too soon to write the effects of solutions implemented by O'Conner.. Excellent and consist service. Excellent knowledge. For years, OCON has never failed us...thank you OCON and staff! Fast, efficient professional service removing 2 large wasp nests. Dependable company with knowledgeable staff. Recommend highly. 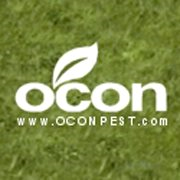 We have used Ocon on several occasions to treat for bees and ants. Each time they have responded quickly and addressed the issue. The last time the technician recommended that we not treat yet, because it was too early for the bees to be active. It's nice to have a company that doesn't just treat when if not necessary just for billable services. Ocon is always my first call for pest solutions.